If you want to be a writer, I’m assuming you feel you have something to say and a strong desire to say it. You may not know how you’re going to say it or in what form (poetry, novel, essay, etc.) but you know something is there. Okay, you pick up your pencil or pen or you sit down to your computer or typewriter. Write something. Whatever you write, just make sure your heart is in it. It doesn’t have to be perfect, it doesn’t have to be neat. It does have to be expressive. Next, as painful as it may be, you have to show this writing to someone. It can be a friend, it can be a family member. Then, pay attention to what happens. Did the person reading your work cry, laugh or get angry? If so, you did that! It means you can have an effect with your writing. It’s worth something. You have to keep going! A teenager recently wrote to me concerned because she’s writing fiction and she’s worried her mother will read it and get upset because she thinks it’s stuff the teenager really did. On the one hand, that is a bummer to have to explain yourself to your mother, but on the other hand–wow, that means the young lady’s work is believeable and effective. That kind of feedback is hard to ignore. It’s powerful motivation to keep you going–if you take the time to notice and honor that it’s happening. I once had a writer say to me, “I don’t know if my stuff is any good. I just know that when people read it, they cry.” I told her you can’t get a message any clearer than that kind of response. Now she just has to listen to it. If you’re having trouble thinking about what it is you have to say, it may help you to spend some time each day in silence. Some writers pray. Some meditate. The idea is to get used to clearing your brain space and tuning in to your inner voice. You’ll also be more aware of those little scraps of possibility floating around in your head that can later grow into big ideas. It’s okay if you don’t know what you want to write about. It may take a long time journaling for you to see what keeps coming up for you. And it may take longer to find the form that fits you best. I went from poetry to essays to long-form letter writing before I settled on fiction. It took me years to do that. It doesn’t mean I won’t do anything else in those genres, but what I’m doing right now just fits. I encourage you to experiment until you find the form that suits your writing best. As you develop your belief that you’re a writer, it’s helpful to set up reminders that will jog you back to that brain space that you need to be in to write. When you sit down to write it’s easy to get distracted and starting thinking about doing laundry or what’s for dinner. You’ll want to have something either on your desk or on the wall in front of you that reminds you to get back to work and that you are a writer. It might be your list of values that remind you that writing is a part of who you are. It may be simple words such as CREATE or INSPIRE. Isabel Allende, who writes beautiful, historical novels will sit in her office with photos around her, old photos of people who essentially represent her characters so she’s surrounded by them. That puts her back into the brain space of her book because she is sitting in their world; these people are all around her. What world do you need to be in? The journey you take to get there will be one of many you’ll take as a writer. I hope these ideas will help you take those first steps. What you write–and where you go from here–is entirely up to you. Bon Voyage. (Should you like to learn more about affiliate marketing or Internet advertising, check out our free elearning module on E-Commerce Affiliate Marketing & Lead Generation. Want passive income ideas that actually work? There are numerous ways an educational site can procure on the web. One is through offshoot promoting while the other is Internet publicizing. Which one is for you will rely on upon your site’s scope. In addition to offering Internet advertising, you can also join existing affiliate programs that can pay you for every successful click or sale that you generate to their websites. Google AdSense permits you to produce salary on your site or blog. 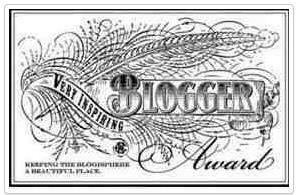 Clients of Google-possessed Blogger.com can without much of a stretch permit any blogger to incorporate Google AdSense and begin gaining income on the web. You can also join traditional affiliate marketing programs to generate revenue on your website. I am happy to see a developing number of Philippine sites who understood the significance of offshoot showcasing. Distributors included paid get paid by results conveyed. They can likewise pick whom to join forces with that is probably going to draw in their present site guests. I’ve already spent 100 of hours researching and testing all kinds of ideas. I know what works and importantly, what doesn’t. Ascending Profit System (APS) Affiliate partners offers commissions in terms of flat rate or percentage fee. It is wise to partner with the right affiliate program to avoid scams, among others. When choosing for the right affiliate partner, don’t just insert any advertisement on your site. Choose the one that will appeal to your readers. Perhaps what can strike your interest and encourage you to click might encourage your readers as well. In fact, this is the perfect time to set-up an informational and highly content-driven website as opportunities to earn have become friendlier than before. The moment you start having your own products or services being marketed online, creating an affiliate program can be a strategic way for you to generate awareness about your program. Apart from exposure you get from participating publishers, you can give commission to a fellow site owner who was able to generate sales for you. (Should you like to learn more about affiliate marketing or Internet advertising, check out our free e learning E- Commerce Affliate Marketing and Lead Generations You can also send a message on my Facebook Gracie Alora . Today, with modern technology and continuous advancement in research, overcoming fear of flying could be fast and easy. All one needs to do is to gather enough willpower to face his or her fear and the willingness to overcome that fear no matter what it takes. Once the final diagnosis has been made by the psychologist, the person who has aviophobia can now start with treatments depending in the severity of the phobia. Nowadays, the most common treatment options available in overcoming fear of flying include drug therapy, natural remedies, Cognitive Behavioral Therapy (CBT), relaxation techniques and airline-affiliated programs. Each of these offer different concepts and processes so it’s up to the person which one could be suitable to his or her needs. 1. The drug therapy. This is the mildest form of treatment available for people who are starting in overcoming their fear. Once diagnosis is made by the psychologist or psychiatrist, the most common drug prescription that they give include benzodiazepines and other relaxant drugs which are proven to control the symptoms of the phobia for a certain period of time. Although some can be bought over the counter, always remember to check with your health provider which drugs may help you overcome that fear while in flight. Their approval and prescription is very important because these will ensure that the problem will not get more complicated. 2. Several herbal and natural remedies. If you want to go the natural way, there are certain natural remedies that can be made or taken at home to help you control anxiety attacks during flights. These herbs include St John’s Wort, Scullcap, Passiflora incarnate, and Valerian are recommended because these are believed to help calm the person’s nerves while aboard. Because these contain properties that help people to relax, many are trying this treatment option. But since herbal or natural remedies don’t necessarily have clinical approval, it is best to test first the effects of these herbs before you finally go aboard. 3. The Cognitive Behavioral Therapy or CBT. Experts say that one of the most effective methods for helping people overcoming their fear of flying is the process called “desensitization.” This is an educated approach to overcoming fear in flying because the process involves making the person face the fear “face to face”. How? The moderators introduce the patient to his or her fear and then, slowly, the idea of flying will be re-introduced. Other components of the method also include conversations on it, field visits such as the airport, and soon, you will be accompanied to take a real flight. During the sessions, the patient will be taught various relaxation methods as well as techniques so they can cope with the phobia and eventually eliminate it form their system. 4. Various relaxation techniques. 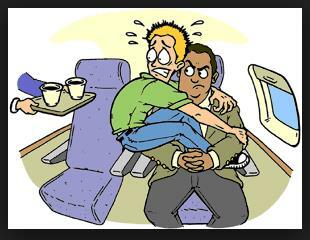 Since anxiety is the main culprit for fear of flying, people who are experiencing this are advised to various techniques that would help them relax such as meditation and deep breathing as well as muscle relaxation. People who are afraid to fly are advised to practice these techniques at home so once they have mastered it, they can try using these relaxation methods when they finally able to take a flight. Learning these techniques are important because it will help the person reduce his or her anxiety, relieve the tension brought by the fear, and enable that person to take off his or her mind into untoward things and accidents. Spiritual awakening is a goal that everyone seems to be looking for. Ever since the prehistoric period,people seem to be in quest for a divine union and enlightenment. There are different ancient rituals performed by different groups of people worldwide. Indigenous cultures that are still existing until now, shows us a glimpse of how ancient people quest on having a deeper understanding of the earth and the spirits. 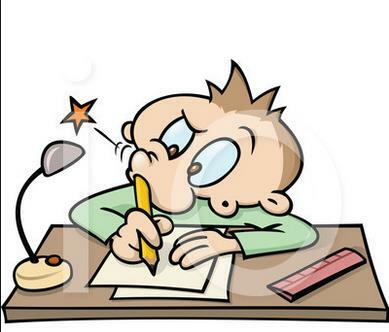 For some people writing articles is a very difficult activity that takes a long time to get done. If you are a beginner in the art of writing good articles I’ll give you some advices that will help you improve your article writing. Writing articles can be daily and profitable activity for many people. And if you want to make some extra money on the internet you certainly will have to learn how to write good articles. Content is what attract people to a website that’s why you have to fill your website with good articles if you want to receive tons of free traffic from search engines. Okay, let’s talk about the secrets. First of all, to write great articles you need to have new ideas and to be inside of your article subject. For example, if you want to write articles about the stock market you’ll need to follow the top news providers about it. Choosing the right topic to write about is the most recommended, so be sure to write about topics you enjoy. Try to write articles about things people are concerned to know about. Ask your friends or relatives what are interested to know about then try to write something about it and show them what they think about what you just wrote. Try to write some phrases everyday so that you exercise your writing abilities. In some weeks you’ll be writing much better then it’s time to start writing professionally! Choose a topic and become a expert by studding this topic and writing everything you can about it. After your have written some articles you can start submitting them to article directories just like this one. There are many benefits of writing articles and submitting them these directories. 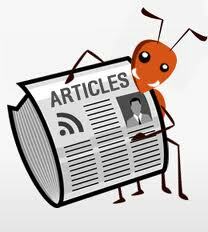 If you already have your website or blog you could submit some of your articles to article directories. Doing this you’ll get many links pointing to your site and this will increase your visibility on search engines like Google. That’s all for today. I hope you can benefit from these tips I gave you. Writing articles is not that difficult you just need to dedicate some hours of hard work but you’ll see that writing articles can be a nice activity. 1. I am coffee addict! 2. I don’t eat beef, but I prefer corned beef! 5. I love Music and kind of Music6. I eat a lot, like theres no tomorrow!! ahahah. 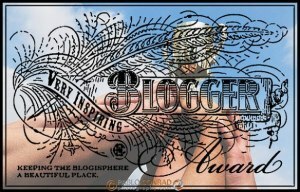 I want to share this AWARD to these 15 Bloggerz who inspired me by their blogs. It’s very important that you choose your audience before actually starting to write your e-book. Decide which type of audience will benefit from your subject. Take into consideration different factors like age, caste, culture, social background and education of the audience you want to attract. Once you are done with the foundation of your e-book you can start writing the main body of your e-book. One of the best options to maintain your document is to write in MS Word. Writing in Ms Word can help you revise your document as and when you need it. You can also keep a check on any spelling errors in the process. Choose a font size that can be easy to read for people of all age groups. Avoid using too many fonts as this may irritate your readers. Last of all create your e-book. Once you are done all you have to do is publish your e-book online, and wait for download request from your website visitors. Are you a new writer struggling to get ideas for the articles you need to write? If so, you are not alone. It takes time and practice for any writer, no matter how good or how well trained, to learn to come up with good article ideas quickly. So do not be discouraged. Instead, learn from the advice of other writers. I can give advice about article writing because it is what I do. My first bit of advice is simple: write about what you love. Any time I come to a stand still about things to write about I go back to the things I am passionate about. I may not be able to write a very convincing article about why all children should watch professional wrestling (because I don’t believe it is true) but I may be able to write an amazing article about the importance of families eating dinner together at the end of a long day (because I believe it is true and important). Article writing must come from things that matter to you. Reflect upon the things you value and let those give you ideas for writing. Another simple piece of advice I’ll give about writing articles is to read. That’s right: read. Every single good writer I know is a consistent reader. Why? Because we can learn from reading the work of other writers. It is one of the most valuable things any writer can do. Reading keeps us involved in language and even fuels new ideas for article writing. So when you’re stuck just pick up a magazine and read an article or two. Don’t be afraid of copying. The more you read the less chance you have of copying something you’ve read. It is important to think about your audience before you begin writing an article of any kind. It is always wise as a writer to try to write articles that will somehow connect with your audience and affect their lives. Just as you want to write about things that matter to you, so you should write about things that matter to them. No one will read articles that they could care less about. So look for ways to learn what people care about most. Do surveys or talk to your friends that read articles. Readers are the best source for writers. Article writing can be fun and exciting. Just take your time, relax, and enjoy it. You will never last long at something you hate.